PHOTO: Allen Ramsey, DWCPhoto.com. 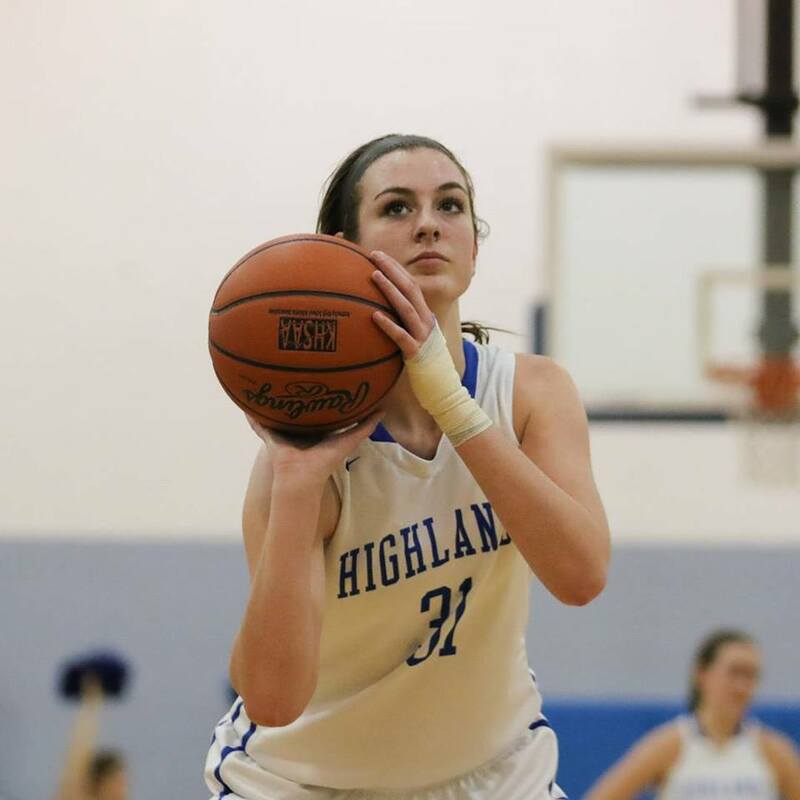 Highlands senior McKenzie Leigh (31) goes in for two of her 21 points in Tuesday's game against Notre Dame. Highlands won 56-46. 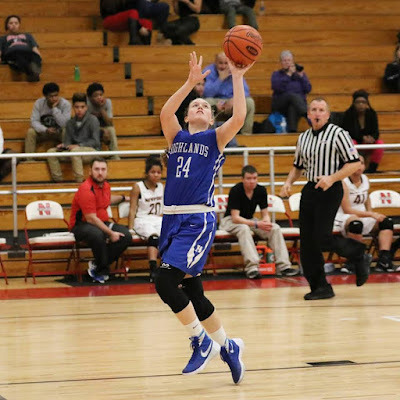 The Highlands Ladybirds will be playing for the LaRosa's Holiday Classic Tournament championship against the host Conner Lady Cougars at 3 p.m.
PHOTO: Allen Ramsey, DWCPhoto.com. 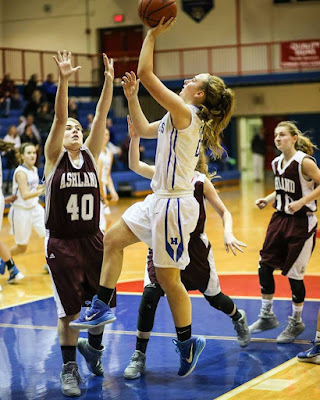 Highlands junior Kiersten Clukey (middle) goes in for a shot in Monday's game against Ashland at Conner. 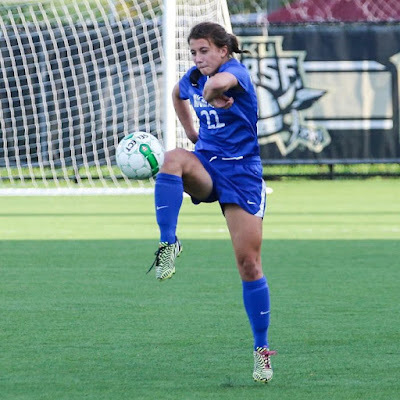 Clukey saw her first action this year after returning from injury. Highlands won 48-35. 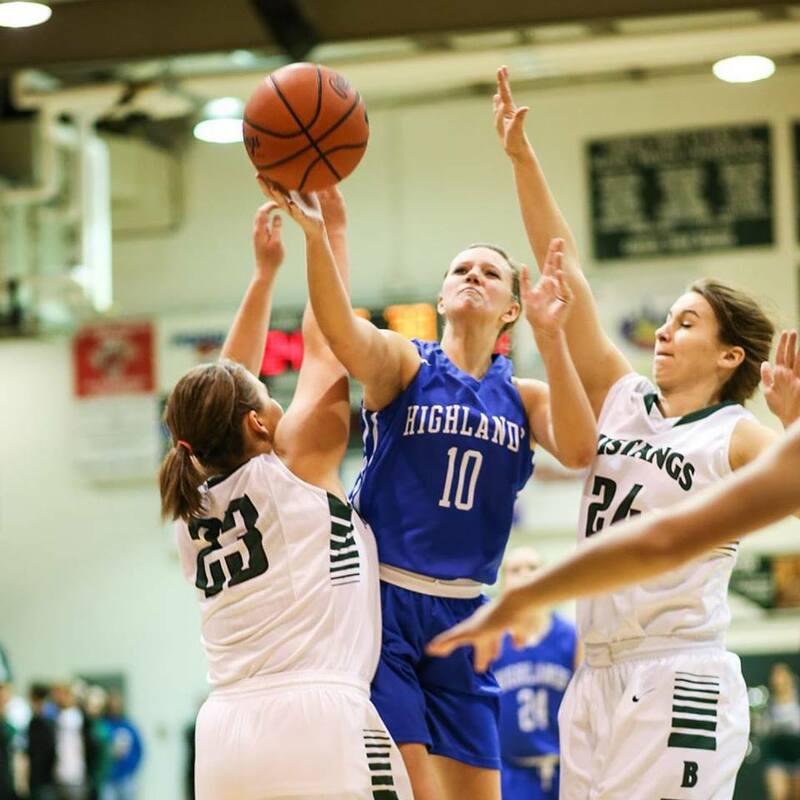 The Highlands Ladybirds started the annual LaRosa's Holiday Classic with a nice win. PHOTO:Allen Ramsey, DWCPhoto.com. Highlands senior Mitch Cain (right) drives in a recent game against Morgan County. Cain scored 19 points against Dayton to earn all-tournament honors in the Swauger Holiday Classic at Bellevue. 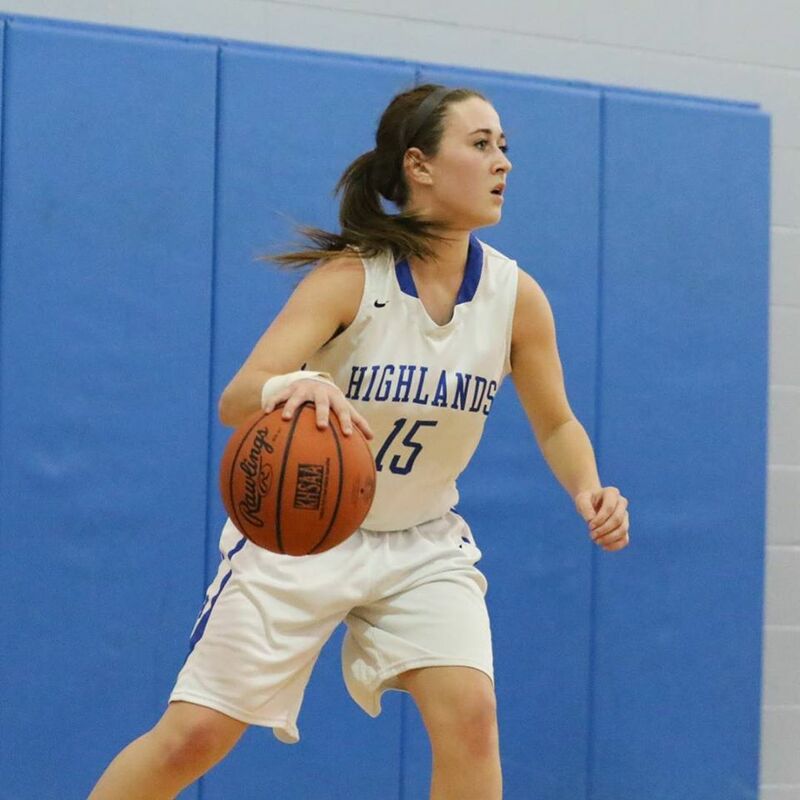 Highlands quickly evened its record at 2-2 with a 62-52 win over Dayton on Wednesday in the Swauger Holiday Classic at Bellevue. Highlands finished fifth in the tournament. PHOTO: Allen Ramsey, DWCPhoto.com. 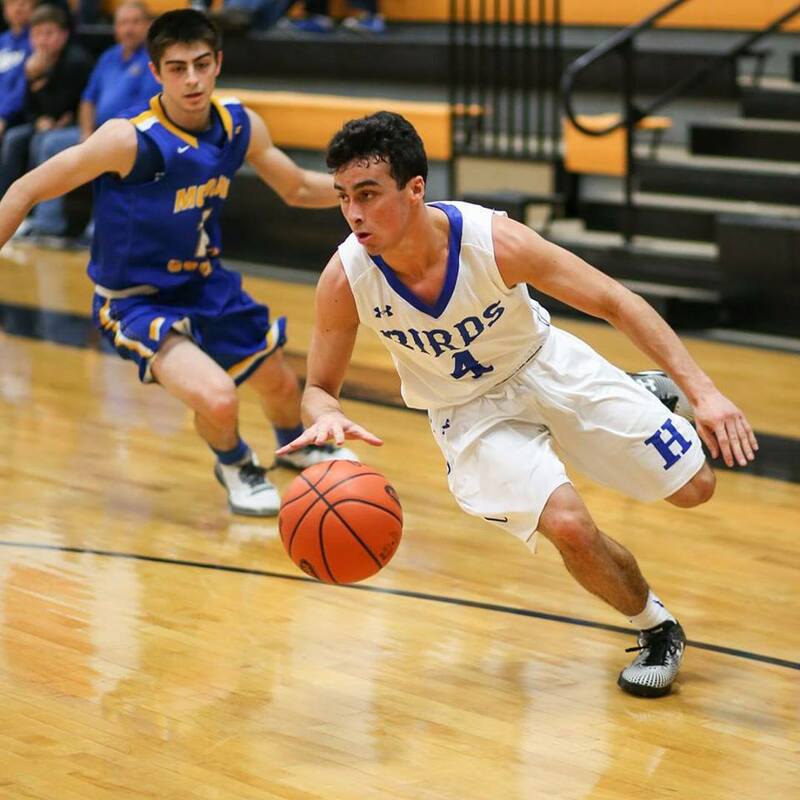 Highlands junior Bradley Greene dribbles toward the basket in Monday's game against Morgan County. 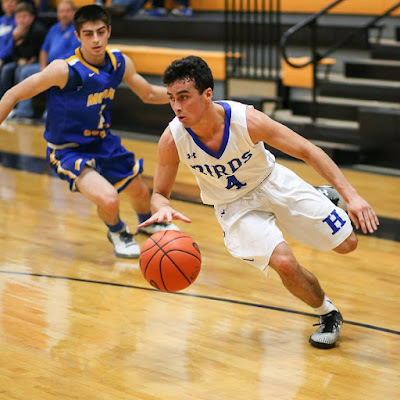 The Highlands Bluebirds basketball team (1-2) hit the win column with a 58-43 victory over McGregor School (Canada) on Tuesday. 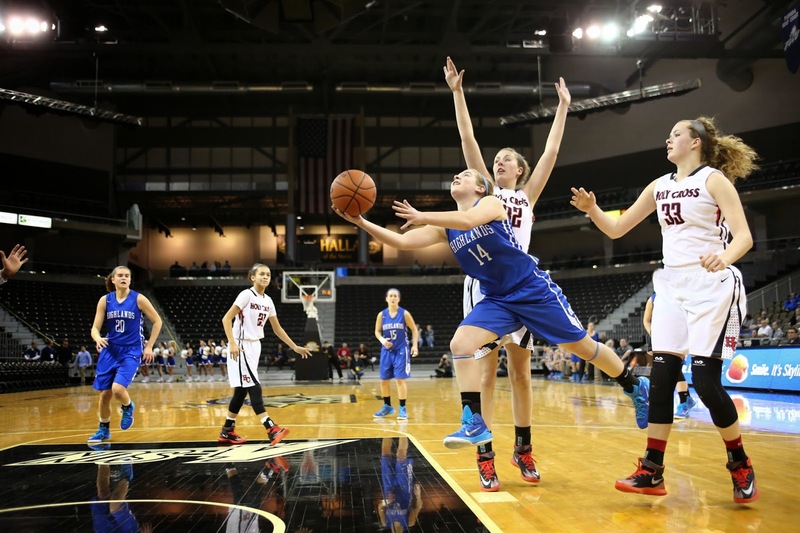 This marked the second game of the Swauger Holiday Classic. PHOTO: Allen Ramsey, DWCPhoto.com. 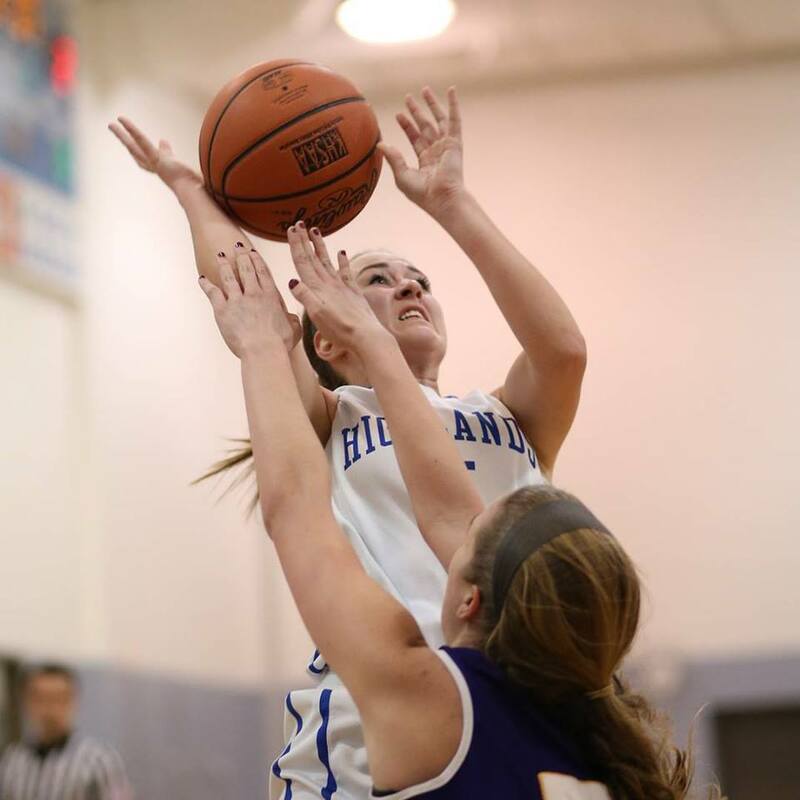 Highlands point guard Haley Coffey puts up a shot in Monday's game against Cambpell County. This loss came down to rebounding and free throws. PHOTO: Allen Ramsey, DWCPhoto.com. Highlands senior Bo Hebel (55) puts up a shot in Saturday's game against Bishop Brossart at Thomas More College. The Highlands Bluebirds saw action for the first time Saturday against in-county rival Bishop Brossart. PHOTO: Allen Ramsey, DWCPhoto.com. Highlands senior Brianna Adler (10) puts up a shot between Bishop Brossart's Sydney Shannon (23) and Abby King (24) in Friday's game. 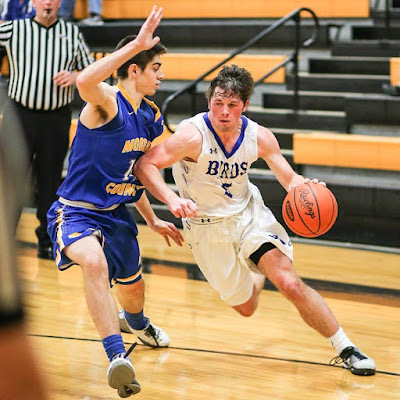 Adler scored 21 points in the Ladybird victory. 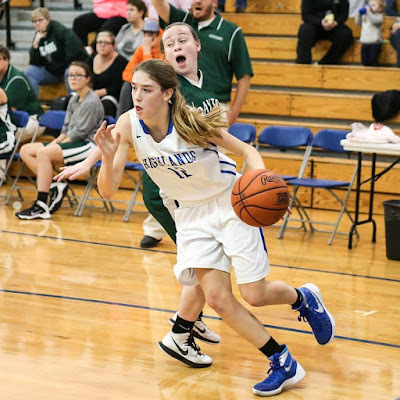 The second of four straight meetings against Campbell County opponents also went to the Blue and White as the Highlands Ladybirds basketball team ventured down US Highway 27 and handled the host Bishop Brossart Lady Mustangs, 63-38 on Friday. PHOTO: Allen Ramsey, DWCPhoto.com. Highlands junior forward Lauren Epperson (24) goes up for a shot in Monday's 65-39. The Ladybirds have won five in a row since opening the season with a loss. The Highlands Ladybirds basketball team handled another 36th District opponent with a 65-39 victory over the host Newport Ladycats on Monday. PHOTO: Allen Ramsey, DWCPhoto.com. Highlands senior point guard Haley Coffey (15) looks ahead in a recent game. The Highlands Ladybirds held their three opponents to an average of 23 points this week concluding with another convincing 56-21 win over the host South Oldham Lady Dragons on Saturday. PHOTO: Allen Ramsey, DWCPhoto.com. Highlands senior center McKenzie Leigh gets in position to shoot a free throw in a recent game. Highlands improved to 3-1 with a convincing 64-26 victory over Grant County on Friday. 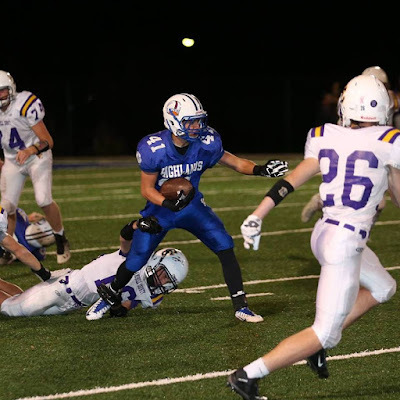 The streak hit three in a row following another route Friday. PHOTO: Allen Ramsey, DWCPhoto.com. 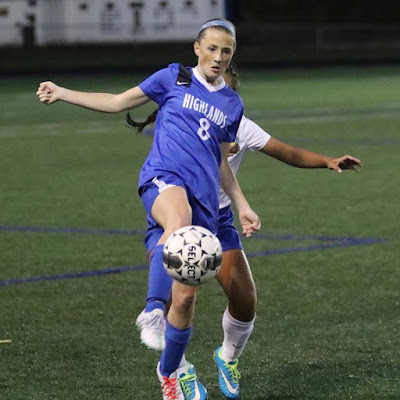 Highlands junior Taylor Baioni makes a move in Wednesday's junior varsity game against Dayton. 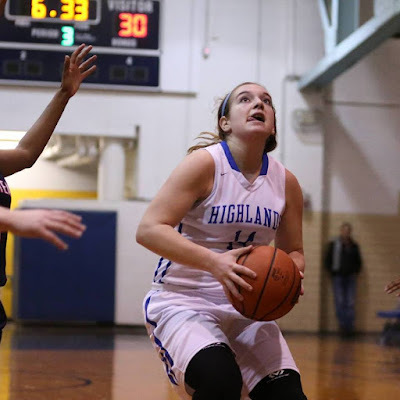 The Highlands Ladybirds basketball team (2-1 overall) recorded its first 36th District win of the season with a 57-22 decision over the Dayton Lady Devils (3-1) Wednesday at Highlands Middle School. PHOTO: Allen Ramsey, DWCPhoto.com. Highlands freshman Zoie Barth drives in the season-opener. Highlands beat Scott, 47-42 Saturday. 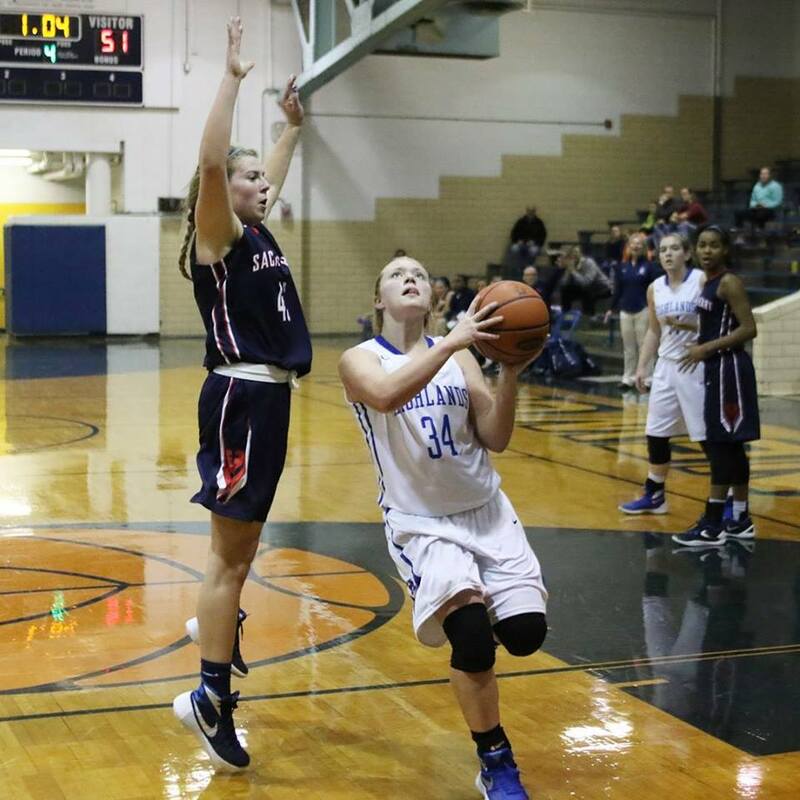 The Highlands Ladybirds basketball team has had good balance in two games. PHOTO: Allen Ramsey, DWCPhoto.com. Highlands freshman Chloe Jansen (34) drives to the basket in Monday's season opener against Sacred Heart. 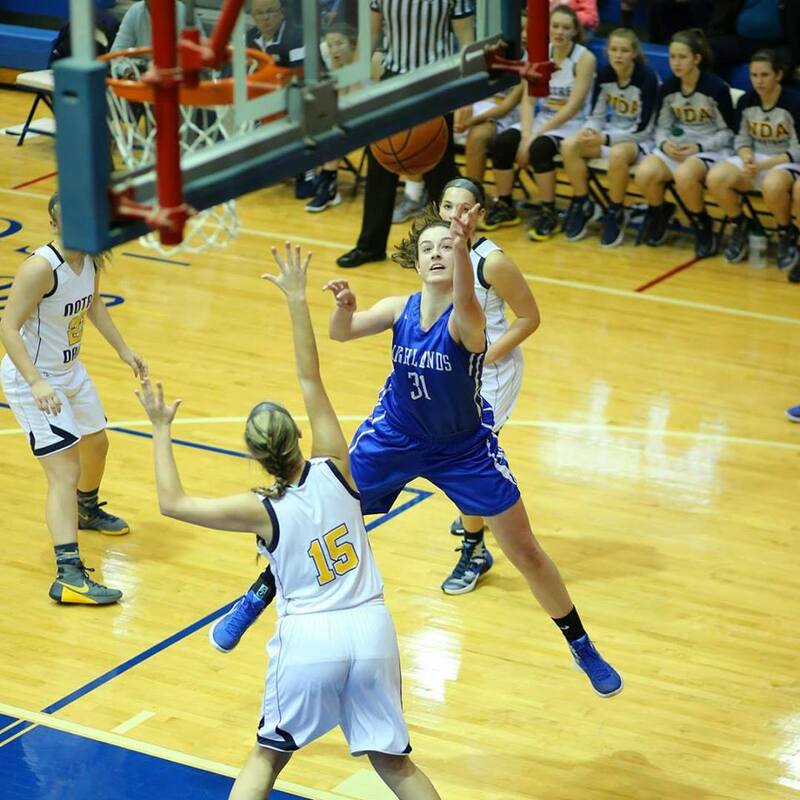 Jansen scored eight points in her varsity debut. The Highlands Ladybirds lost a tight one in the final seconds Monday. PHOTO: Allen Ramsey, DWCPhoto.com. Highlands senior AJ Guth (2) passes the ball while Hannah Harris (12) gets in position in Wednesday's match against Newport Central Catholic. 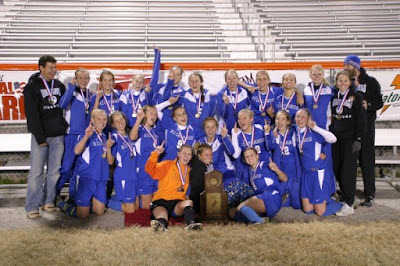 Before considering competing in the rugged 9th Region, the first order of business is solving the longtime district front-runners. 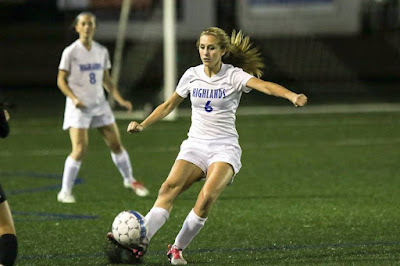 The Highlands Bluebirds soccer team moved above .500 at 8-7-2 with a 3-2 win over Campbell County at Tower Park. PHOTO: Allen Ramsey, DWCPhoto.com. Highlands junior Kiersten Clukey (15) plays the ball in a recent game at Notre Dame. 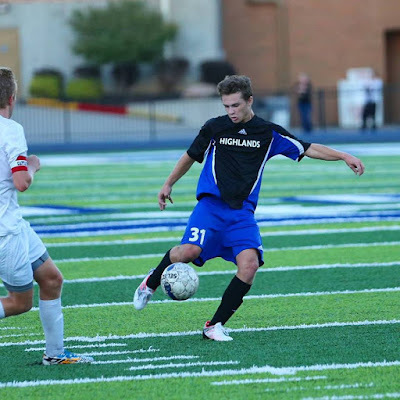 Clukey had an assist in Monday's 2-1 win over Dixie Heights. 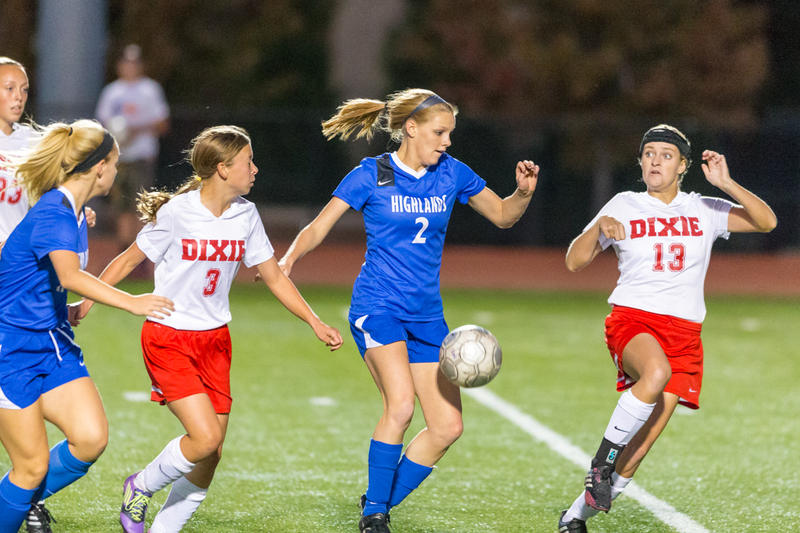 The Highlands Ladybirds soccer team won its fourth in a row Monday with a 2-1 decision over the Dixie Heights Lady Colonels. PHOTO: Allen Ramsey, DWCPhoto.com. Highlands junior goalkeeper boots one away in Saturday's game against Notre Dame. 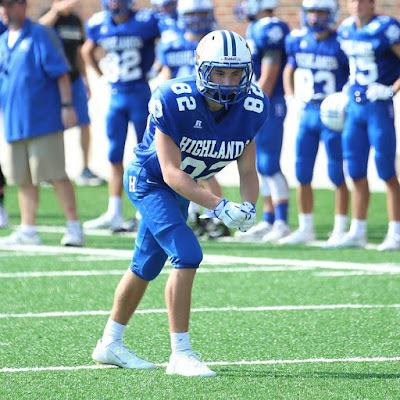 Highlands won in Park Hills for the first time since 2008. 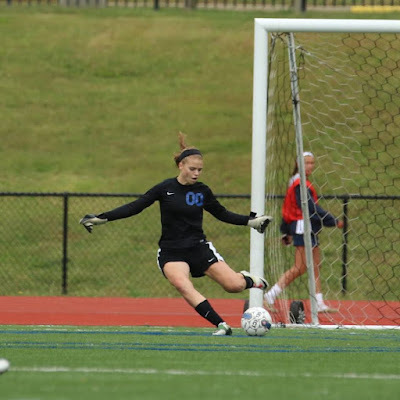 The Highlands Ladybirds soccer team struggled to finish against good teams all season. PHOTO: Allen Ramsey, DWCPhoto.com. Highlands senior Megan Reynolds boots the ball ahead in Thursday's game against Bellevue. 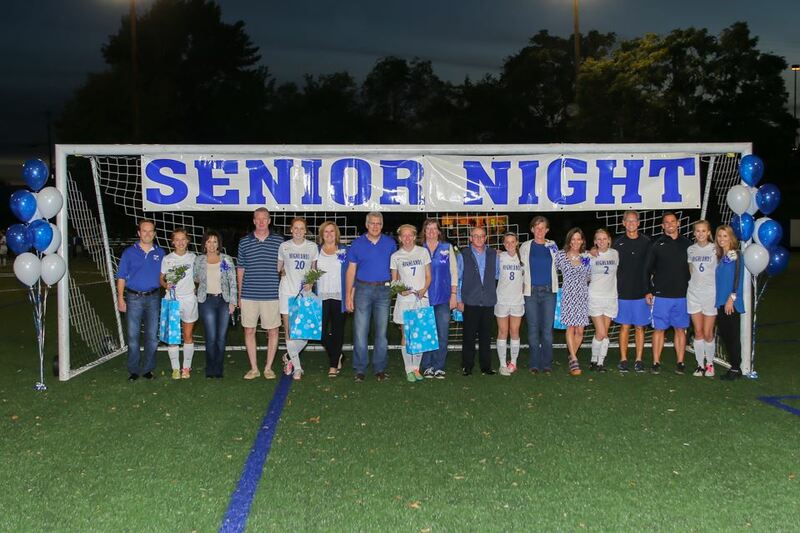 The Highlands Ladybirds moved over .500 with a 10-0 goal-ruling of the Bellevue Lady Tigers. PHOTO: Allen Ramsey, DWCPhoto.com. 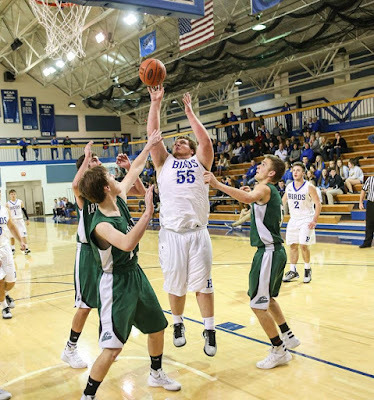 Highlands senior Brady Gesenhues attacks the ball in Tuesday's game at Covington Catholic. The Highlands Ladybirds volleyball team (8-10) handled the Lloyd Memorial Lady Juggernauts, 2-0 (25-13, 25-11) in Erlanger. PHOTO: Allen Ramsey, DWCPhoto.com. 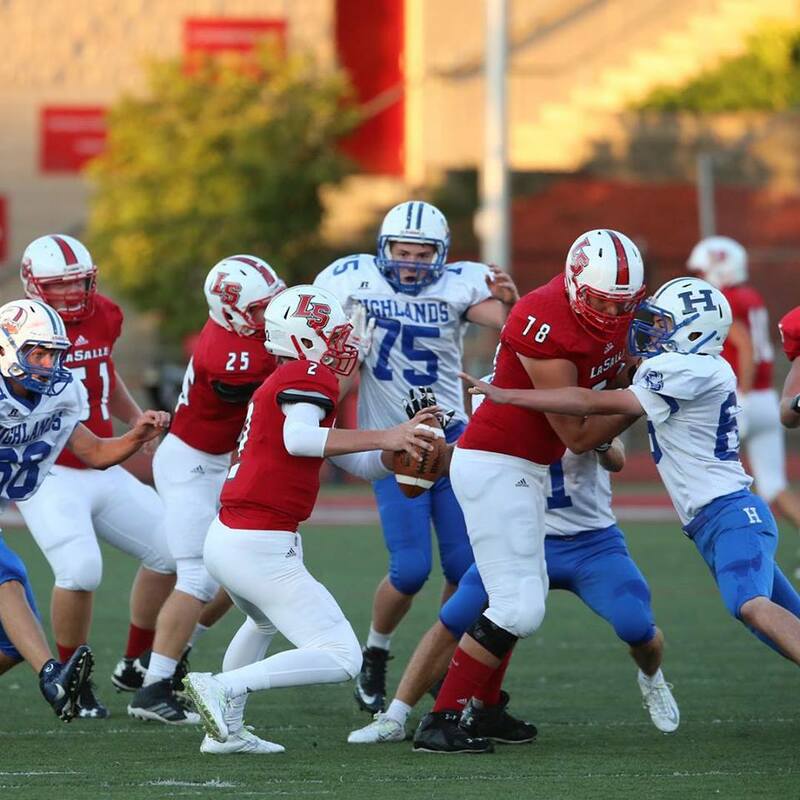 Highlands sophomore defensive lineman Keaton Huddleston pursues the La Salle quarterback in Monday's junior varsity game. The Highlands Bluebirds junior varsity football team lost 30-6 for the first time this season at Cincinnati La Salle. 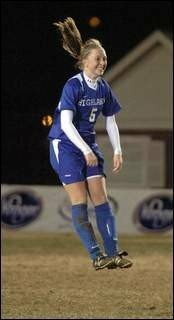 The Highlands Ladybirds soccer team could not put together another win in the rugged Lexington Catholic Cup on Saturday. The Highlands Ladybirds volleyball team moved to 7-9 with a 2-0 (25-11, 25-14) over Covington Holmes on Thursday. 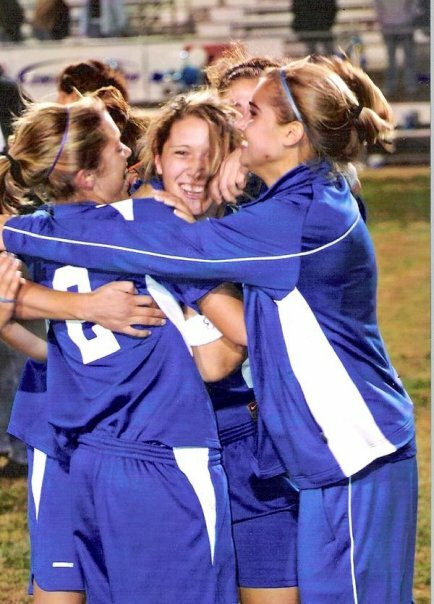 The Highlands Ladybirds could not make it two in a row in the Lexington Catholic Cup on Wednesday. 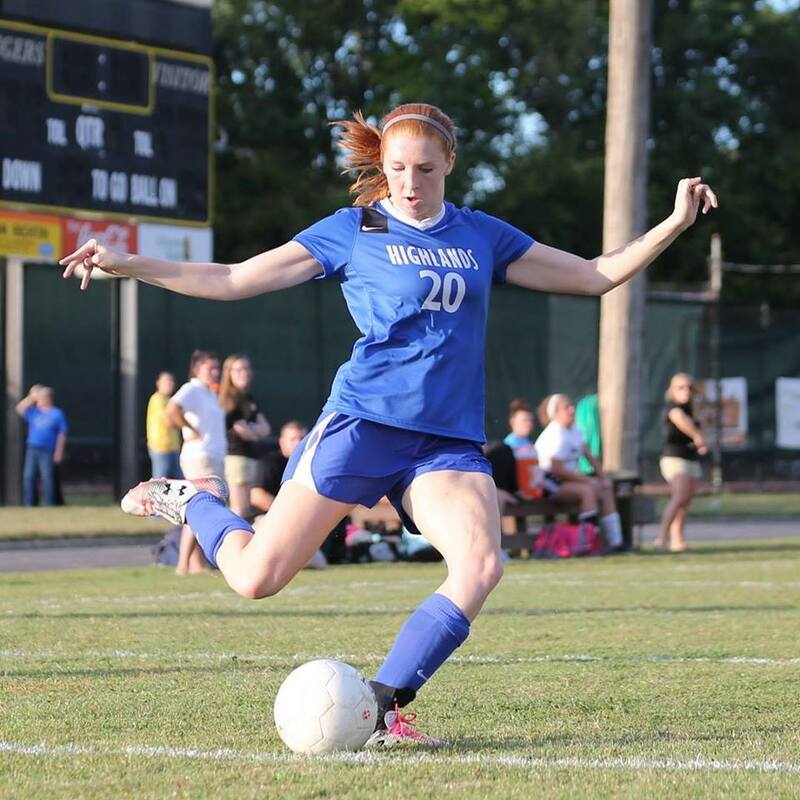 The Highlands Bluebirds soccer team won its second straight at Covington Holmes, 7-0 Tuesday. The Highlands Bluebirds soccer team handled the Beechwood Tigers, 4-0 in non-district action Monday. PHOTO: Allen Ramsey, DWCPhoto.com. Highlands senior Hayley Crothers (8) boots the ball in Saturday's game against Newport Central Catholic at Tower Park. 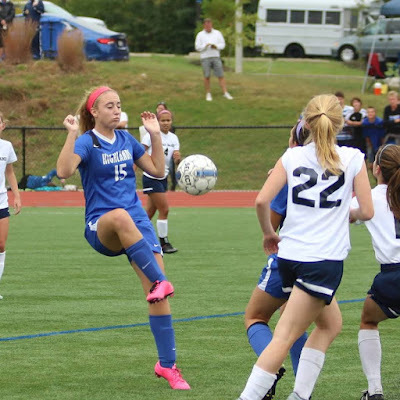 The Highlands Ladybirds soccer team has had its way with the 36th District arch-rival Newport Central Catholic Lady Breds in tournament action for the most part in recent years. PHOTO: Allen Ramsey, DWCPhoto.com. Highlands senior Noah Sellers (7) battles Newport Central Catholic's Chad Brewer (10) for the ball in Thursday's battle while Tommy Steppe (20) comes in. 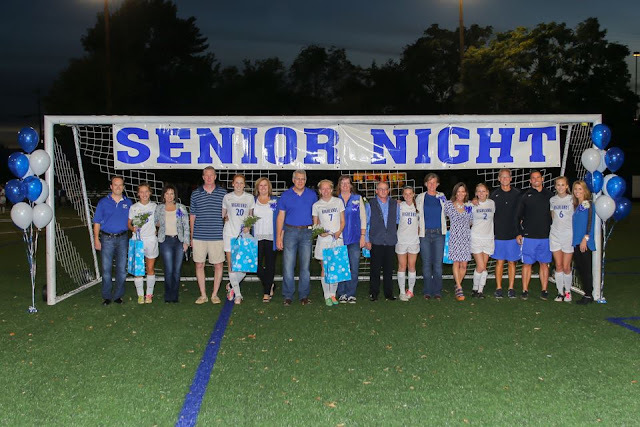 NewCath won 3-2. 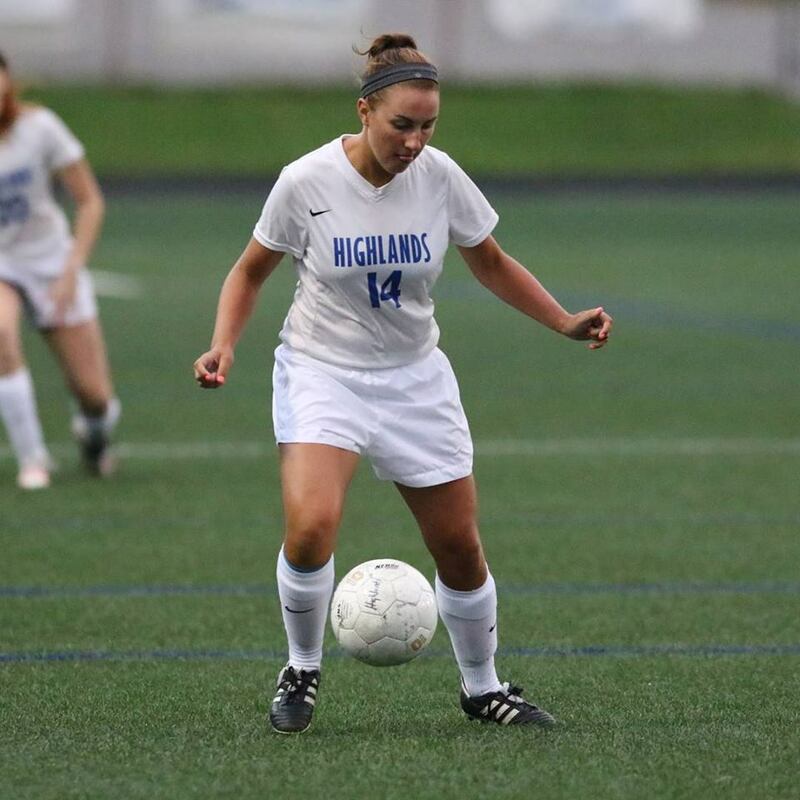 SILVER GROVE - The one person the Highlands Bluebirds soccer team did not need to give clear shots at the net hurt them Thursday. 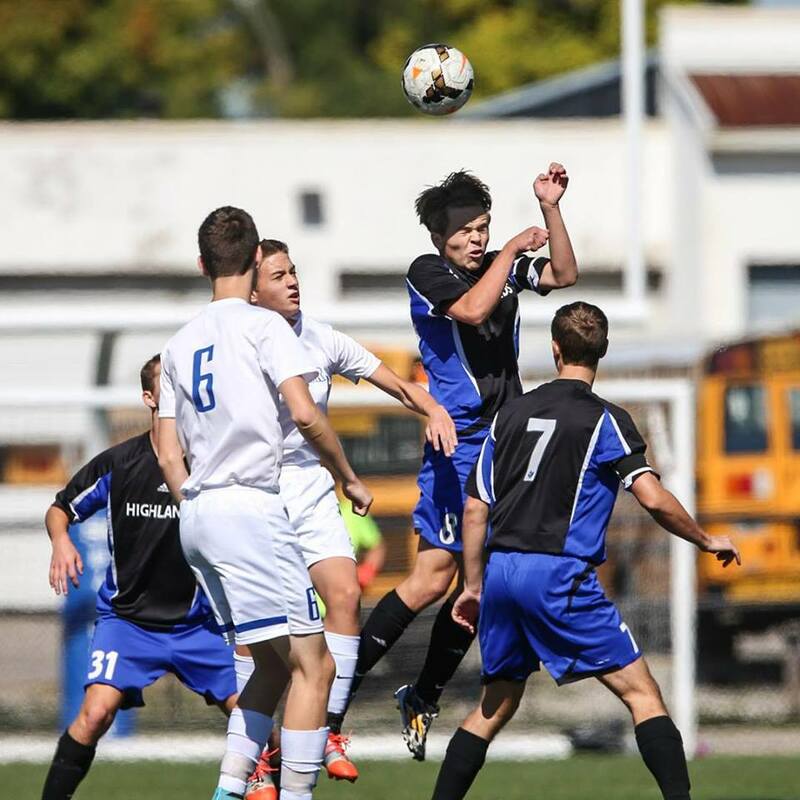 The Highlands Bluebirds soccer team has its first winning streak of the season. PHOTO: Allen Ramsey, DWCPhoto.com. 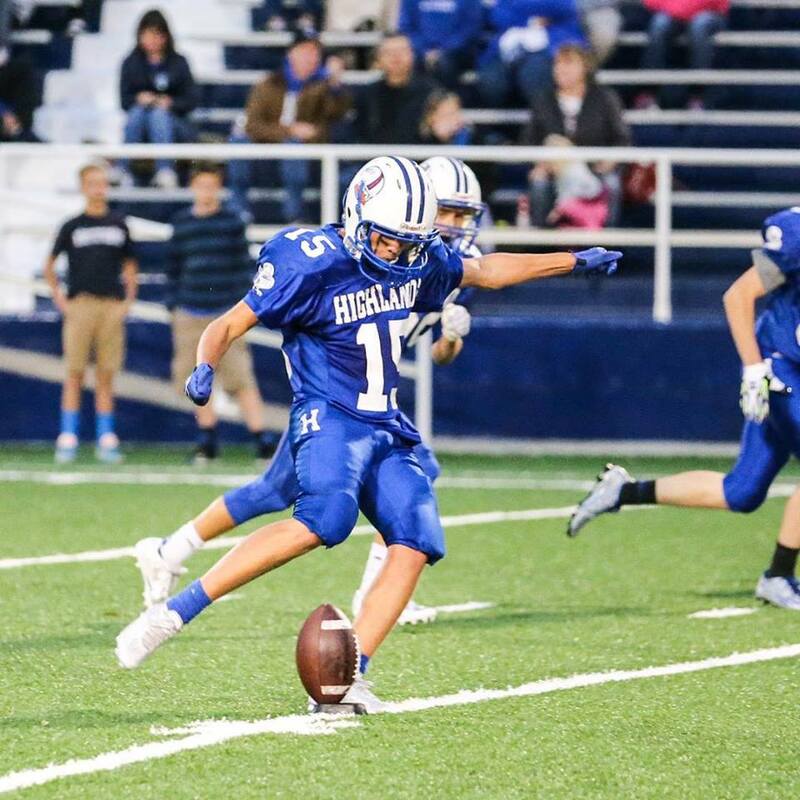 Highlands sophomore Jake Noe sets up in Saturday's game against Cooper. Highlands won the junior varsity contest 30-26 to move to 3-0 on the season. The Highlands Junior Varsity football team defeated Cooper for the second time in as many tries Saturday. PHOTO: Allen Ramsey, DWCPhoto.com. The Highlands Freshman team defeated Cooper, 27-0 Thursday. The Bluebirds moved to 2-1 with the win. The Highlands Ladybirds volleyball team moved above .500 at 4-3 on the season with a 3-0 (25-20, 25-10, 25-18) win over visiting Bishop Brossart on Thursday. PHOTO: Allen Ramsey, DWCPhoto.com. Highlands senior middle blocker Maria Hockney records one against Newport on Tuesday. Highlands won 3-0 to move to 3-3 on the season. 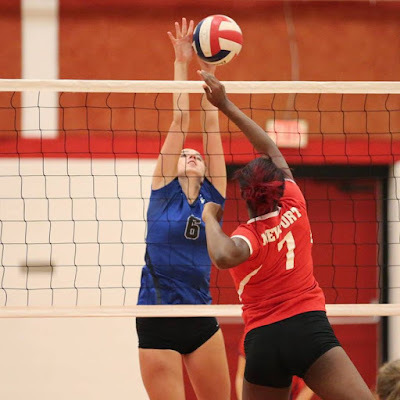 Highlands handled the Newport Ladycats, 3-0 (25-14, 25-13, 25-14) in the 36th District opener Tuesday. The Ladybirds moved to 3-3 on the season. PHOTO: Allen Ramsey, DWCPhoto.com. Highlands sophomore Nick Veneman makes a move in the junior varsity game at Campbell County on Saturday. The Bluebirds won 36-16 to move to 2-0 on the season. 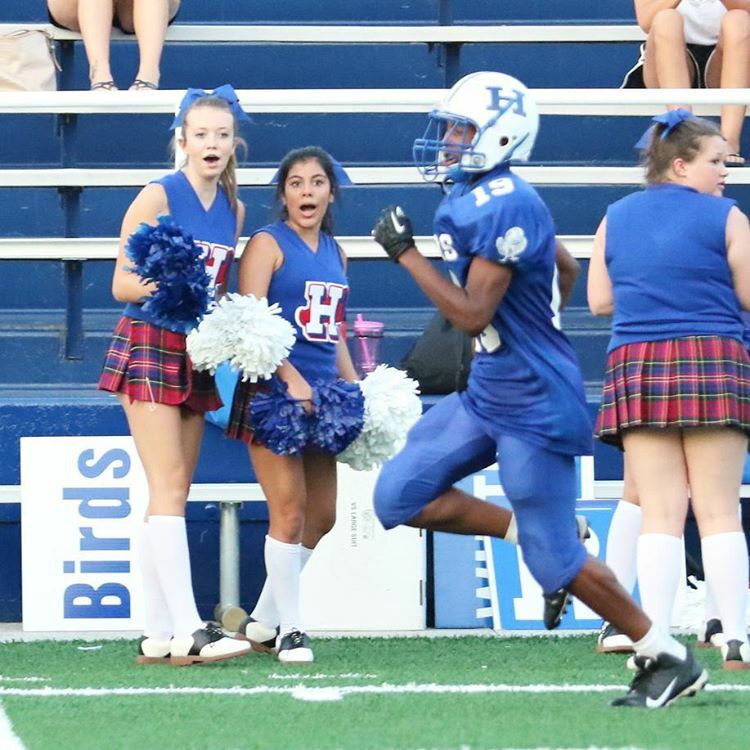 The Highlands Bluebirds junior varsity football team moved to 2-0 with a 36-16 win at Campbell County on Saturday. 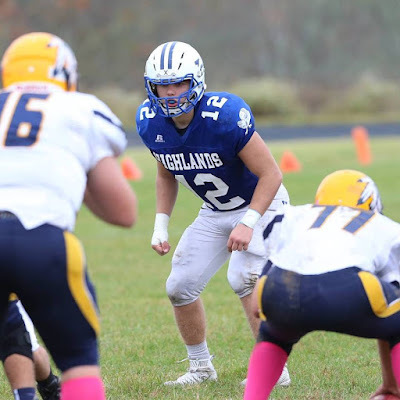 Highlands plays Cooper for the second time Saturday in Union at 10 a.m. 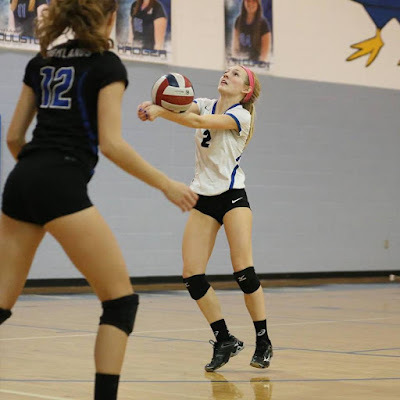 The Highlands Ladybirds volleyball team dropped to 1-2 on the season with a 3-1 (24-26, 25-20, 25-17, 25-11) loss to Conner at home Monday. PHOTO: Allen Ramsey, DWCPhoto.com. 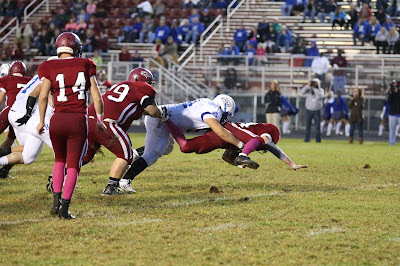 Highlands sophomore Larry Wilson (91) rushes through the hole while Mitchell Schry (62) and Griffin Huber (83) get in position. 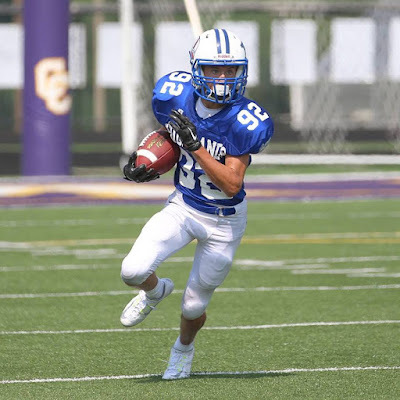 The Bluebirds defeated Cooper in junior varsity action 38-24 on Saturday. The Highlands Bluebirds tied the Cooper Jaguars, 3-3 on Saturday in boys soccer action at Tower Park. PHOTO: Allen Ramsey, DWCPhoto.com. Highlands wide receiver Eric Miller (15) makes a 45-yard catch late in the second quarter of Friday's game at Cooper. 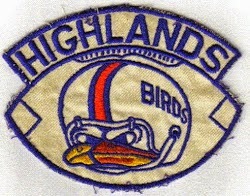 The Bluebirds lost 37-13. It felt like a nightmare in many ways. PHOTO: Allen Ramsey, DWCPhoto.com. 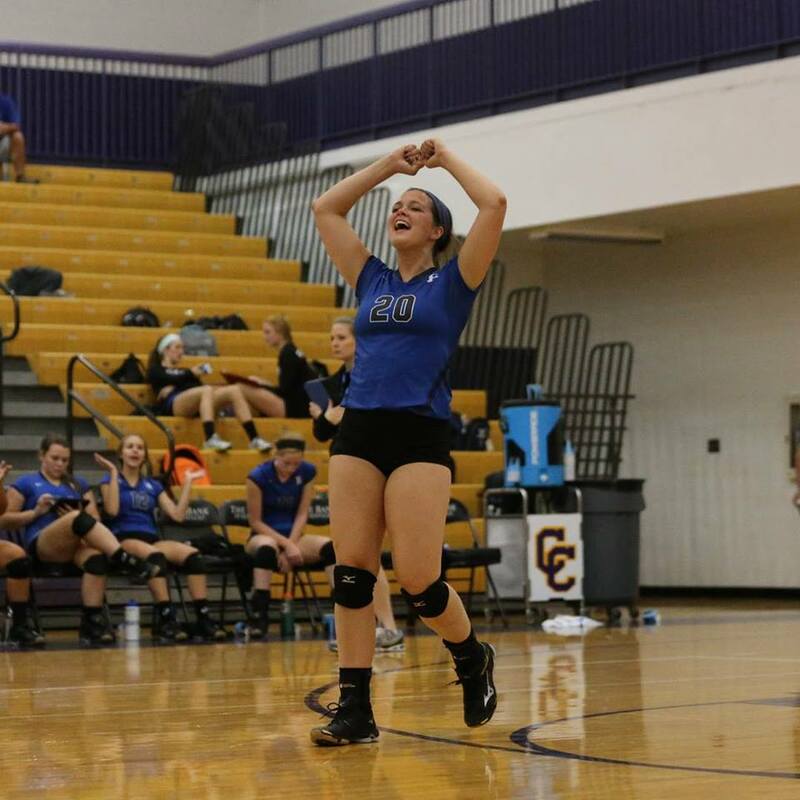 Highlands sophomore Emma Delagrange celebrates a point during Thursday's match at Campbell County. 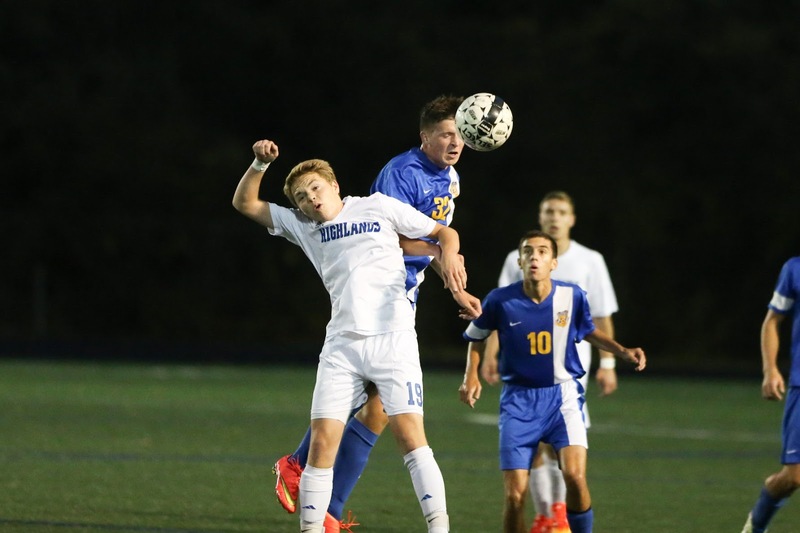 Highlands won 3-1 for its first win on the young season. The Highlands Ladybirds volleyball team earned its first win of the season Thursday. The Highlands Ladybirds volleyball team dropped its season opener Tuesday to the Beechwood Lady Tigers, 3-0 (25-20, 25-13, 25-20). PHOTO: Allen Ramsey, DWCPhoto.com. Highlands junior Kayla Nehus plays the ball in Monday's season opener against Conner. Highlands won 5-1. The Highlands Ladybirds handled the Conner Lady Cougars, 5-1 to open the season Monday at Tower Park. Contributed Photo. Highlands senior Ethan Shuley became the first-ever individual state champion cross country champion in school history in last year's Class AA boys race. 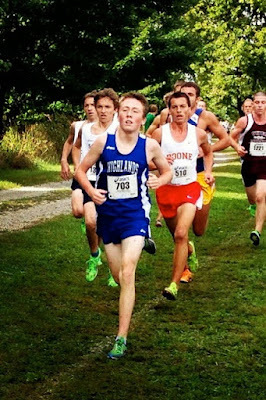 He outran the rest of the pack by 21 seconds in 15 minutes, 58.14 seconds. 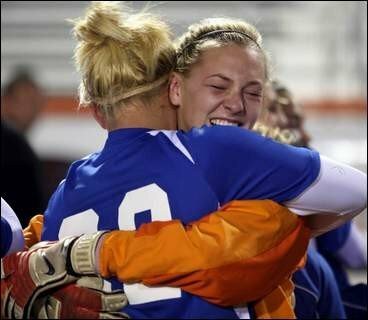 It's about making school history and ending a drought on the other. PHOTO: Allen Ramsey, DWCPhoto.com. 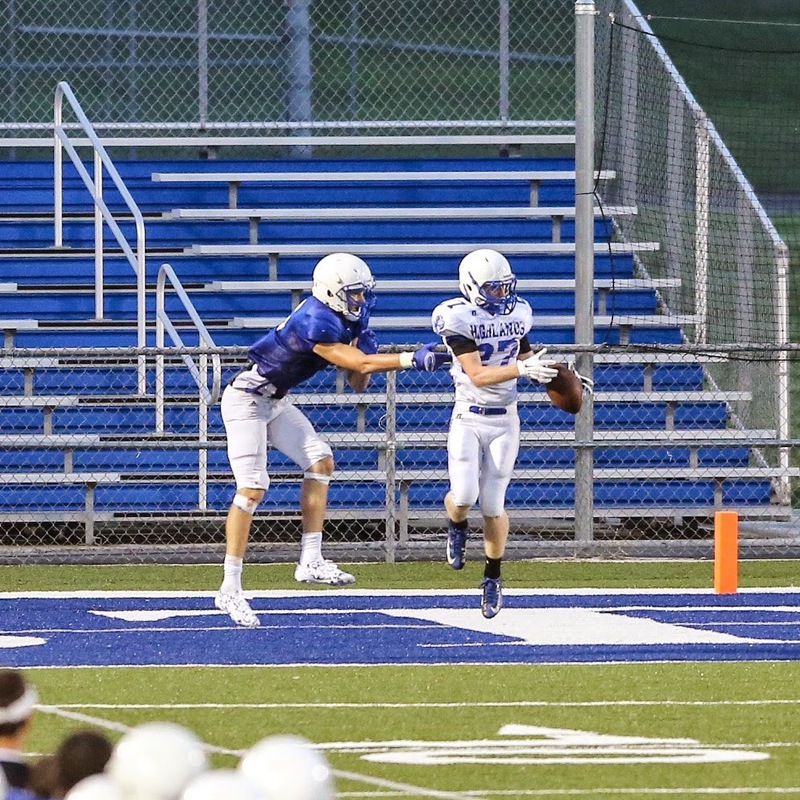 Highlands junior Chuckie Buckler makes a catch in Friday's scrimmage against Cincinnati St. Xavier. 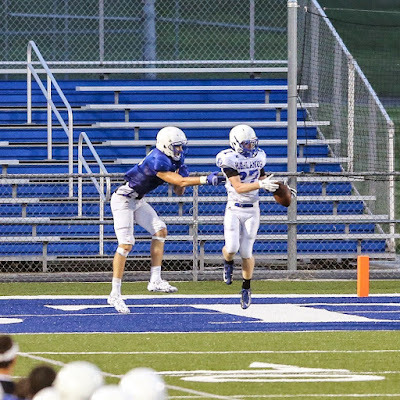 Buckler had a touchdown reception in the fourth quarter. They said they wanted to see what they needed to work on going into the scrimmage. PHOTO: Allen Ramsey, DWCPhoto.com. Highlands senior defensive back Austin Beal (right) intercepted a pass and returned it 100 yards for a touchdown in the scrimmage at Cincinnati St. Xavier last year. 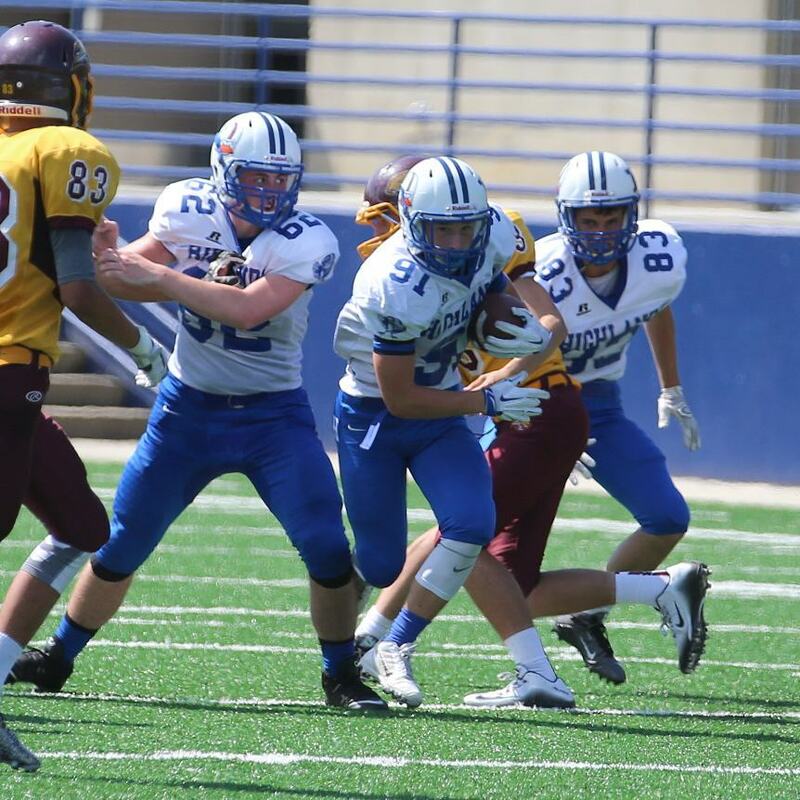 The Blue and White do not mind facing powerful opponents in scrimmages to find out what things they need to work on. 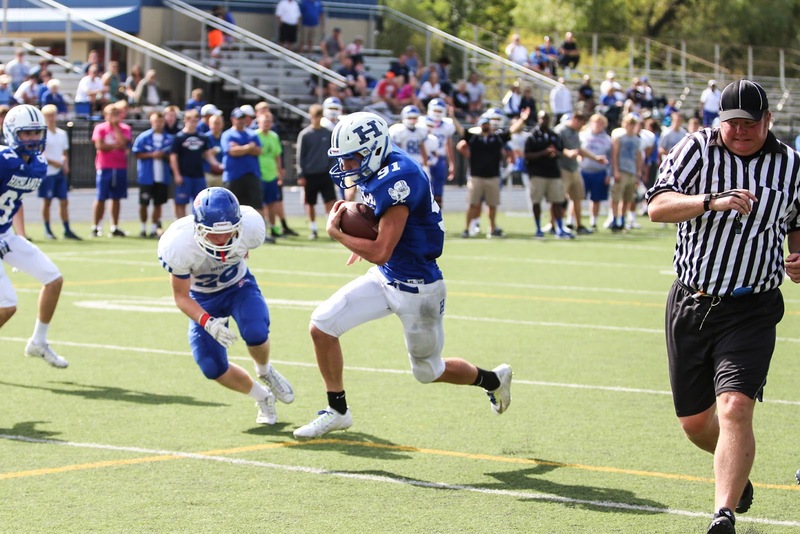 That powerful opponent happens to be the Cincinnati St. Xavier Bombers of the brutal Greater Catholic League for the second straight year. 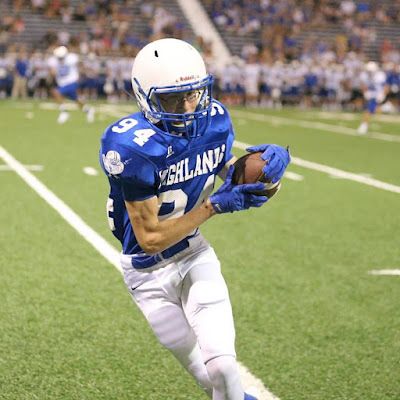 The two meet Friday at David Cecil Memorial Stadium at 7 p.m.
PHOTO: Allen Ramsey, DWCPhoto.com. Highlands senior Ben Seiter (19) plays the ball in the 36th District championship game against Newport Central Catholic last year. Seiter is one of nine seniors listed on the squad. 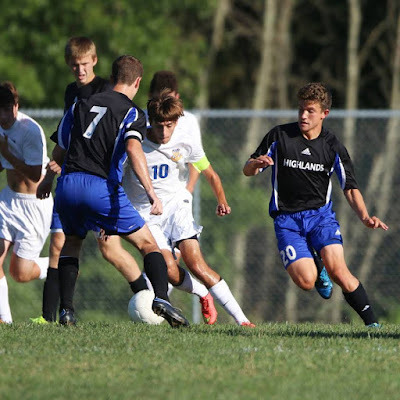 It is not just the ultimate goal of the Highlands Bluebirds, but every boys soccer team in Northern Kentucky. Contributed Photo. 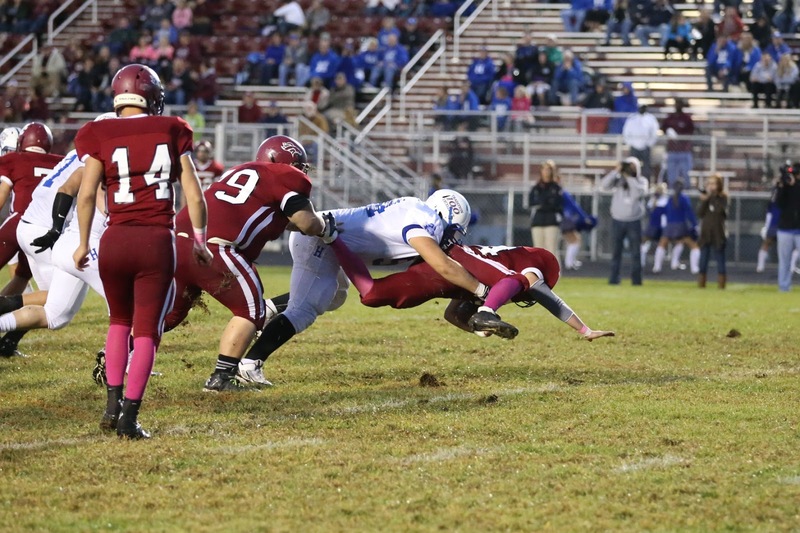 The Pulaski County Maroons won their first-ever football state championship last December. 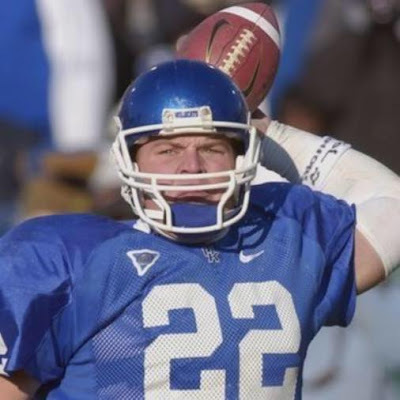 The last step in goals that Head Coach John Hines set out to accomplish when he became head coach in 1999 is becoming a dynasty. 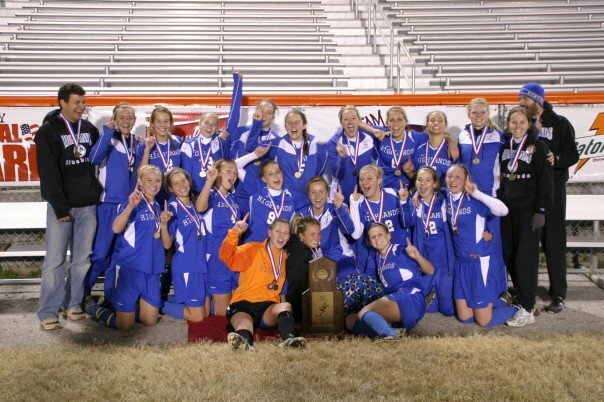 Highlands has been that for a while winning its 23rd crown a day later. 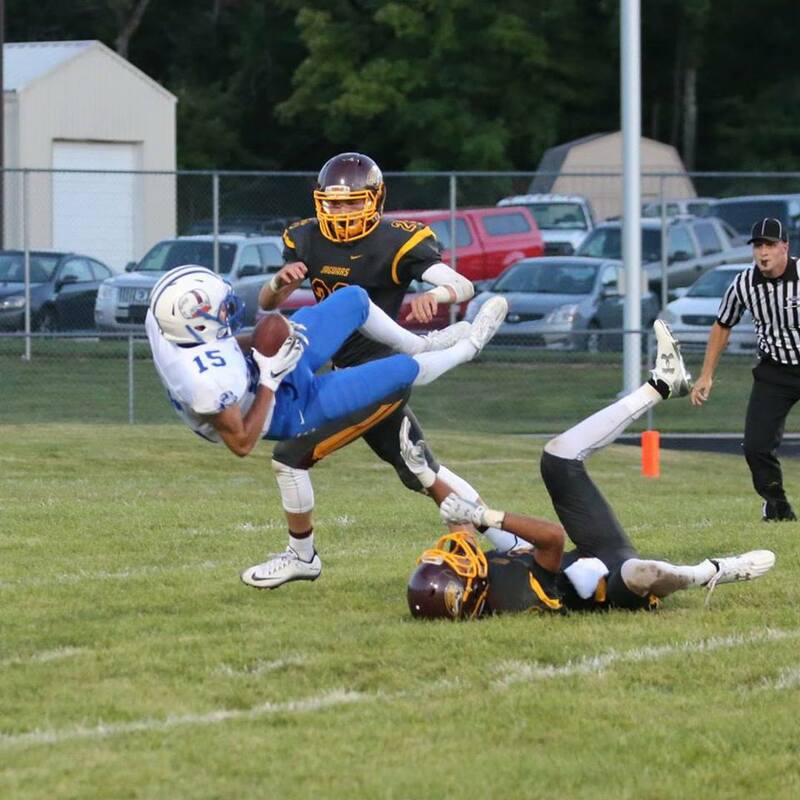 The defending Class 4A and 5A state championships could meet Nov. 27 in Fort Thomas for the right to return to Bowling Green in the 5A state semifinals. The sign has been up in their weight room since John Hines became head coach in 1999. It specifically reads, "from NOBODY to UPSTART, from UPSTART to DISTRICT CONTENDER, from CONTENDER to DISTRICT CHAMPION, from DISTRICT to REGIONAL CHAMPION, from REGIONAL to STATE CHAMPION, from STATE CHAMPION to DYNASTY." A sticker is placed next to right of all but the last step in the Pulaski County Maroons football team's weight room.